The Cats of Williams were a foundation club of the Upper Great Southern Football League in 1959 and they’ve been having a pretty good time of it in recent years. 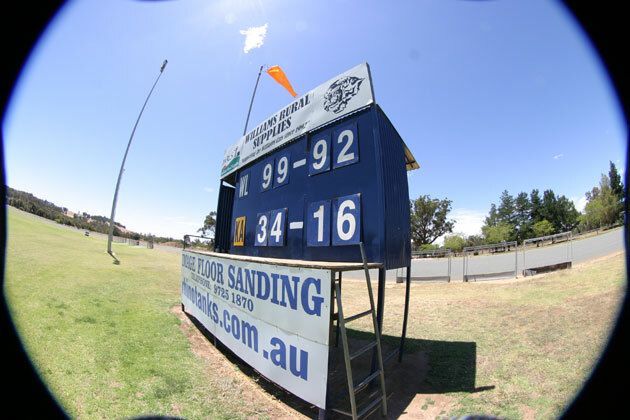 In 2014 Williams beat Narrogin Hawks by a point in a classic grand final. 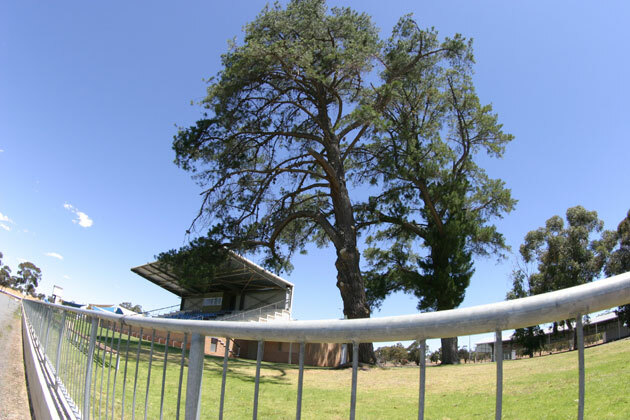 In common with a few other wheatbelt grounds Williams is surrounded by a trotting track keeping spectators away from the action somewhat but there have been few complaints as the wins have kept coming. 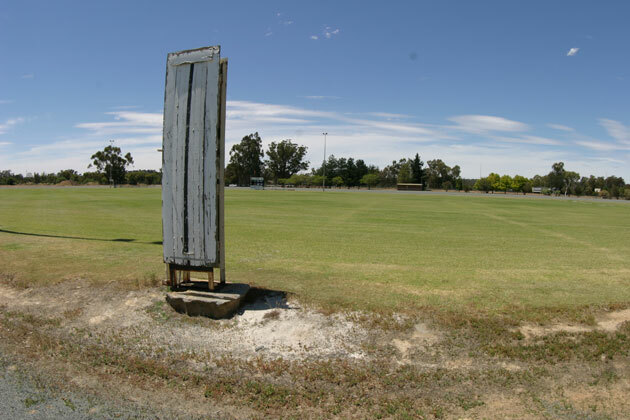 Williams is about 170 south of Perth on the Albany Highway. 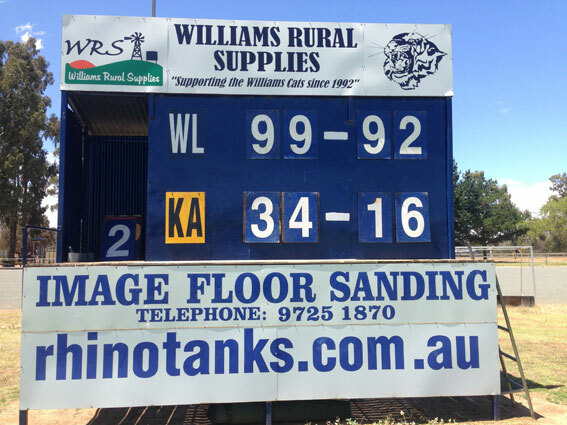 Luckily someone had taken the trouble to post a fantasy win over Katanning to give the scoreboard some life when we called in during the post-season. 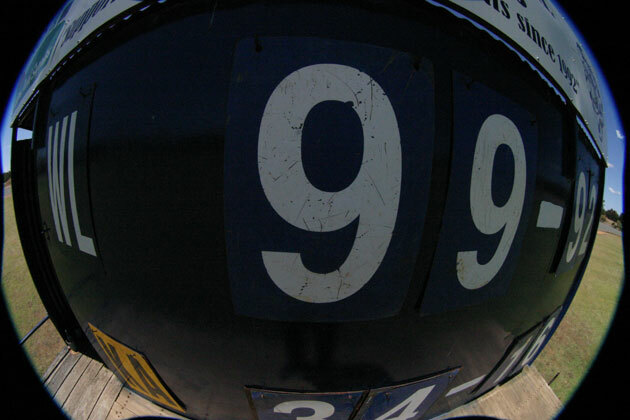 I had borrowed a fish-eye lens for the weekend. Sorry about that.